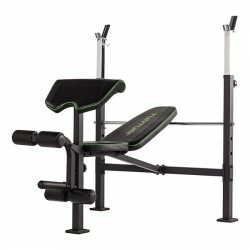 Your strength training at home becomes a real challenge with a Tunturi weight bench! A multiple adjustable backrest, the ergonomic upholstery, and the practical folding mechanism are just some features, which characterize these flexible weight benches. 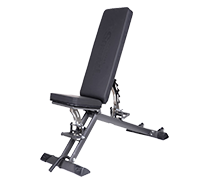 The training variety of a Tunturi weight bench offers flexible training possibilities even for advanced athletes. The Tunturi UB60 Utility Bench is a combination of a multi-functional bench and an abs bench. The backrest is multiple adjustable and offers a multitude of training possibilities. 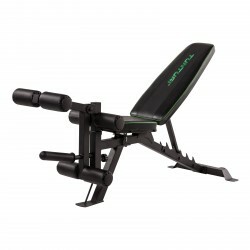 It offers different incline and decline angles as well as flat and military.